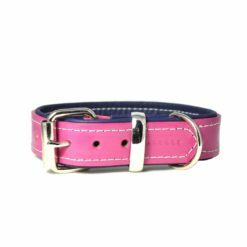 We have four styles of made to measure collars so you can choose your dog's perfect collar. 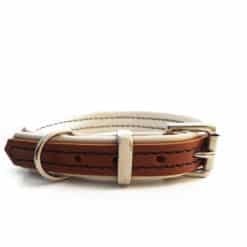 These collars are made from leather cut from cow shoulder giving them strength. 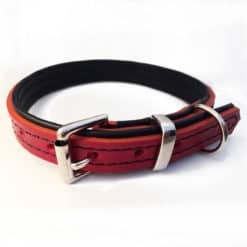 The inside of the collar is padded with soft cowhide, creating rounded edges. 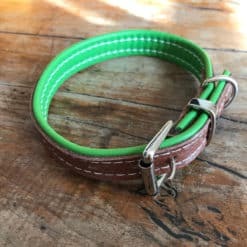 Medium and larger dogs or dogs with a thicker neck. 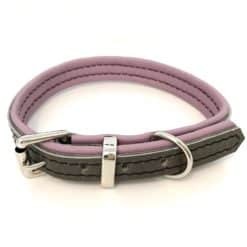 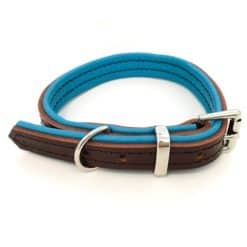 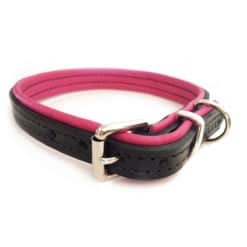 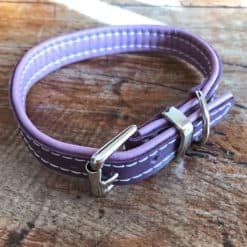 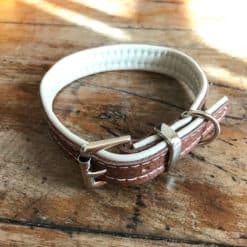 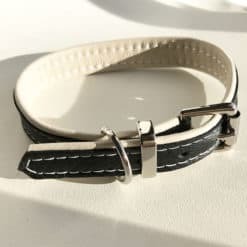 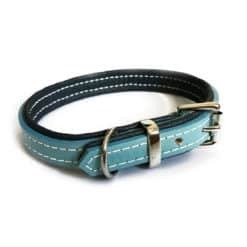 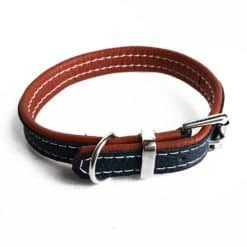 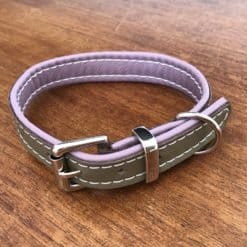 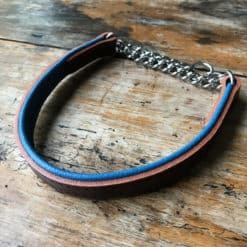 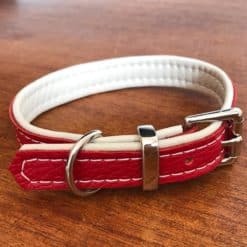 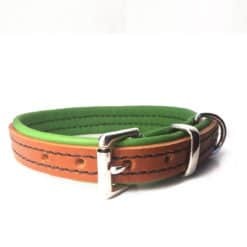 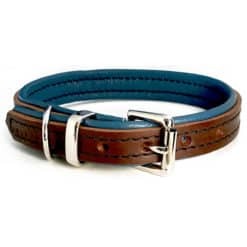 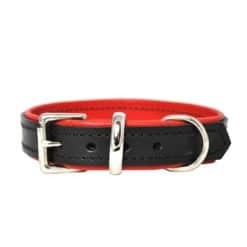 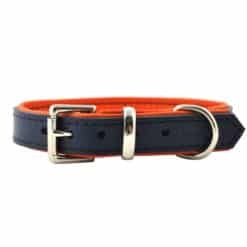 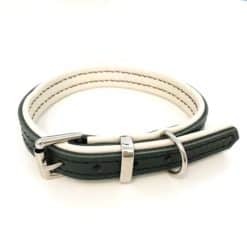 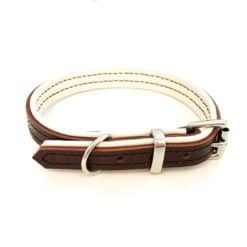 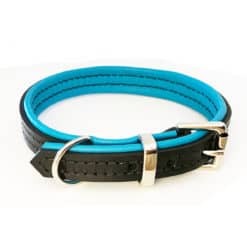 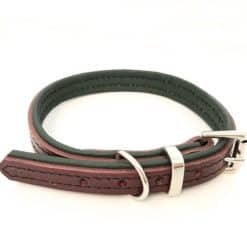 Not suitable for necks smaller than 13"
These soft collars are padded with soft cowhide leather creating rounded edges and offering a slightly thicker and stronger collar, yet still very flexible. 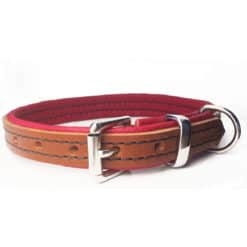 Suitable for larger breed puppies and smaller dogs. 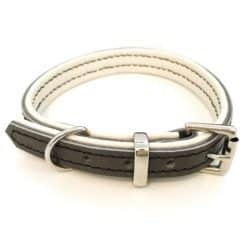 Made from two layers of soft cowhide leather. 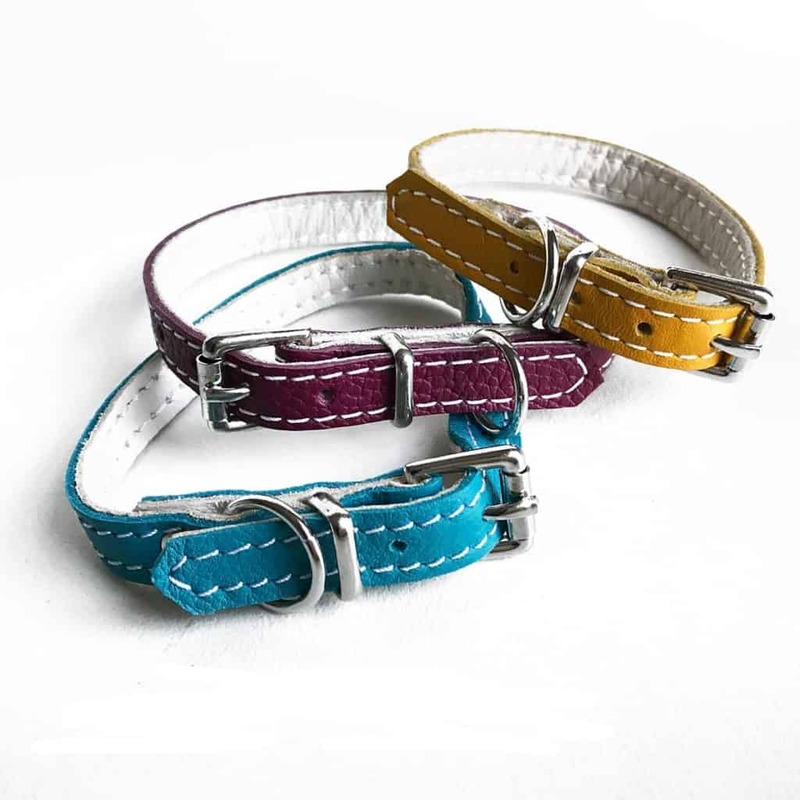 These collars are a perfect choice for your smaller to medium sized puppy with a smaller neck size. 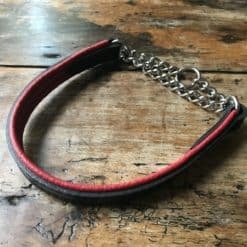 A collar they can gently get used to. 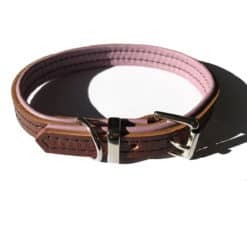 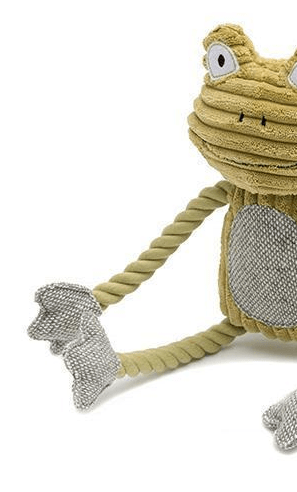 Perfect for toy breeds as they are lightweight. 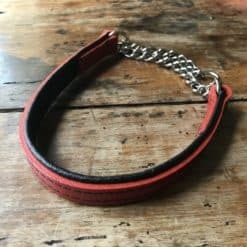 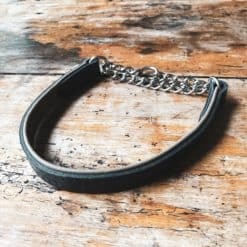 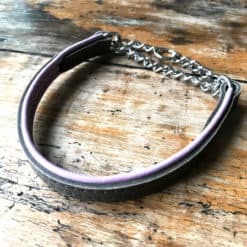 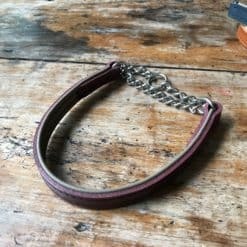 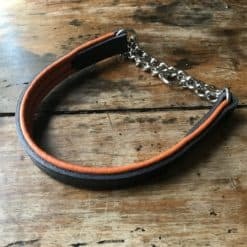 Sits comfortably loose with the chain resting around the throat, when the lead is attached, it tightens as the dog pulls, giving you greater control than buckle collars for dogs who are stronger. 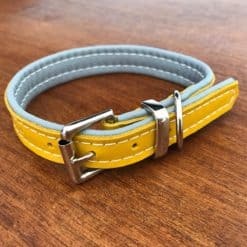 If you have a specific colour combination in mind, please get in touch by clicking the help icon at the bottom right of the screen. 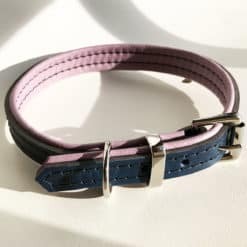 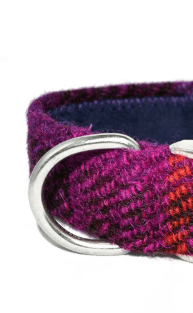 The bespoke collars are handmade to order.